Gary learned how to work at a very young age working all over Daviess County for local farmers having his own hay crew at 16 years old as well as other kinds of odd jobs. There was not anything he could not fix and was always willing to lend a hand to anyone that needed it. Later, Gary worked for the Missouri Highway Department, Tate Motor Company and retired from the Gallatin R-V school district in 2002 after 32 years of driving a school bus and 21 years as the maintenance supervisor. Gary was an avid Elvis fan and quite the grill master, as described by his family. He enjoyed “gospel night” which consisted of loud music from Elvis, Roy Orbison and other favorites being played from the garage. Gary was well loved who will be missed dearly by his family and a host of friends. Mr. Elbert was preceded in death by his parents and brother, W. Spencer Elbert. 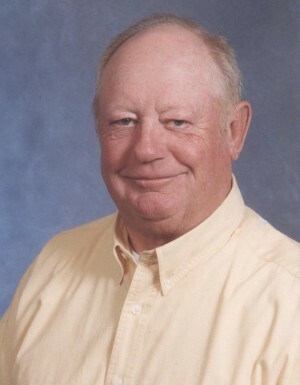 Those left to mourn his passing include: wife, Patty Elbert; son, Chris Edward (Shelley) Elbert; daughter, Kelly Ann (Dennis) Simmons; son, Tyson Michael Elbert; 5 grandchildren: Sydney Renae Elbert, Kailey Christine Elbert, Grant Patrick Simmons, Chloe Allison Simmons and Jett Robert Simmons; brother, Troy Elbert; sister-in-law, Judy Elbert and other extended family members. In lieu of flowers, memorial contributions are suggested to the Green Hills Animal Shelter or the Gallatin RV Backpack Buddies in care of Stith Funeral Home in Gallatin. Memorial services will be held at noon Tuesday, January 22nd, 2019 at the Gallatin First Christian Church with Pastor Russ Hamilton officiating. The family will receive friends prior to the service from 10 AM to noon also at the church. Arrangements entrusted to Stith Funeral Home in Gallatin. Online guestbook at www.stithfamilyfunerals.com.